See scan - very good condition. This is a nice socialist / communist era Soviet USSR Russian medal to commemorate the 1st human Flight in Space. 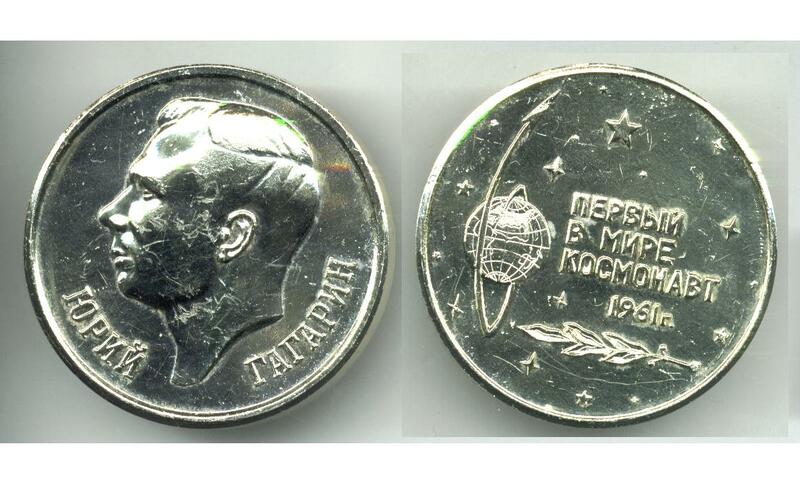 Obverse shows a portrait of the 1st cosmonaut / astronaut Yuri / Juri Gagarin and reverse is a text FIRST WORLD COSMONAUT 1961 and a rocket with stars around it. Medal is light weight and probably made out of aluminum alloy with silver plating on top. Nice militaria / military and soace exploration collector piece and one of the nice Russian medals.